How many nines did you make? Well it’s official, we’ve hit the halfway mark of the year… well we did a few days ago. So I thought it might be an idea to see if I’m on track with my make 9! 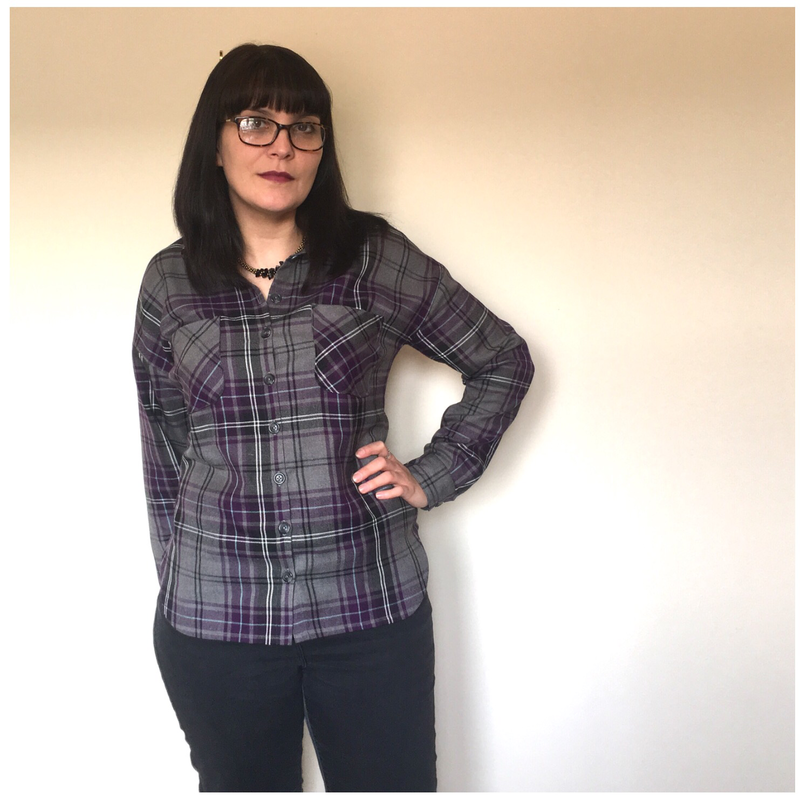 I’ve never done this challenge before, and I’m very aware that my sewing tends to be ‘whatever I’m in the mood for or have fallen in love with this week’ rather than actual planning and following of said plans. But nine in a whole year can’t be that hard can it?! 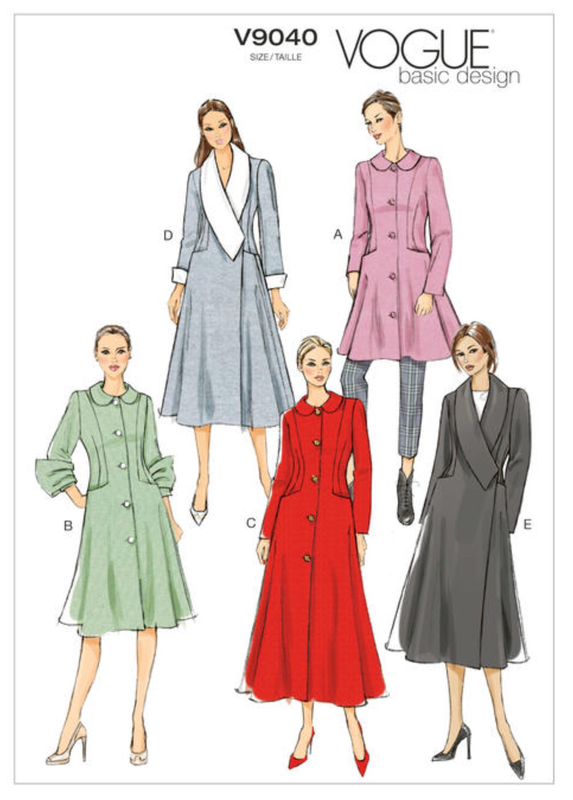 So there’s the Carolyn Pyjamas (Closet Case File), Melilot shirt (Deer & Doe), Ultimate Trousers (Sew Over It), Fringe Dress (Chalk and Notch), Vogue 9040 (erm… coat), a wrap dress (little black dress book). 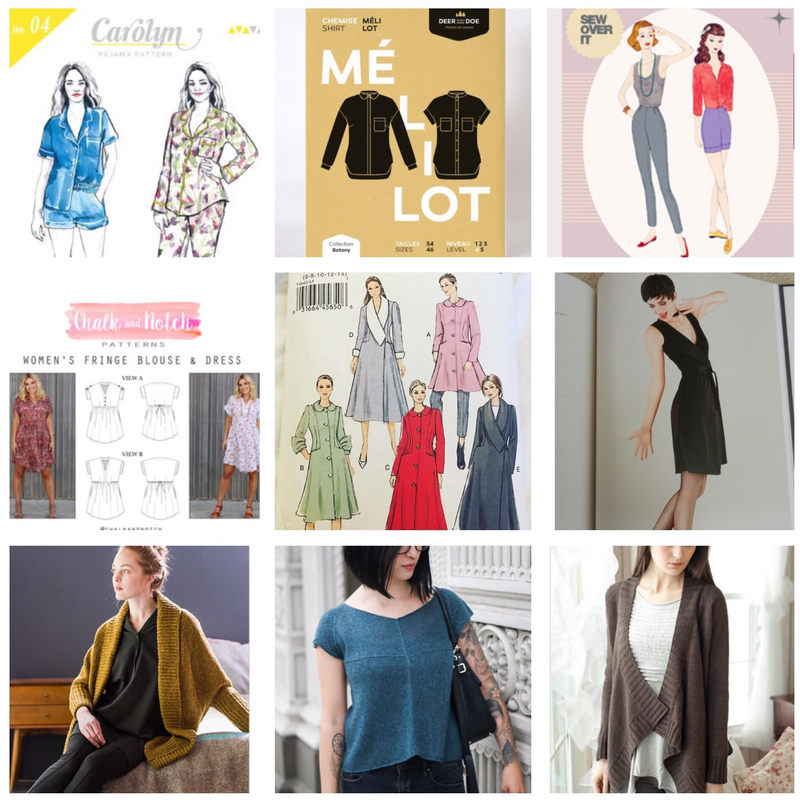 Then some knits with big cardigans and linen tee. How many have I made? 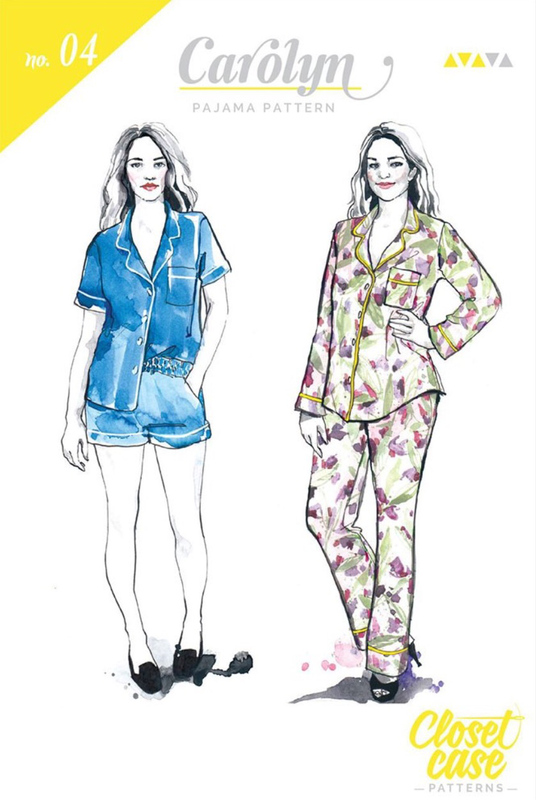 So let’s start with the Carolyn Pyjamas… yes I have made these, only last week so I haven’t photographed them just yet. Stay tuned for that one! I’m actually wearing this blue one right now! Not worn as much because of the sleeve issues. Ahhhhh the shirt of happiness. Yeah, I have a problem when I like a pattern, I get distracted and just keep making them. Anyway, on to the Ultimate Trousers… I have sourced the fabric, but am getting distracted with other things. Plus I think I’m a bit intimidated with the potential fitting issues with these. But that’s why they are on the 9, to push me to make them. Oh I just love this one!! So next is the coat. I have the fabric, I have traced the pattern (though I did that about a year ago!) I have no lining for it though so it is not started. I do still intend to have this underway before the end of summer… so it’s ready for winter this year. Fingers crossed! Don’t forget… it’s that pink version I’m heading towards! But not in pink, I think you all know by this point I am not a pink kind of a girl! 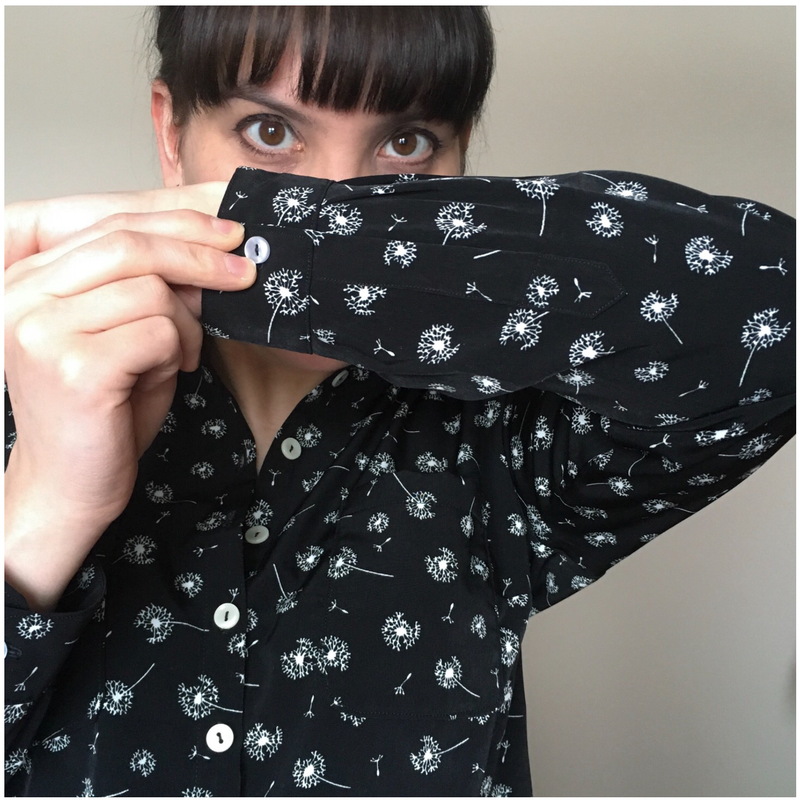 So next is that wrap dress… well I nearly made this. 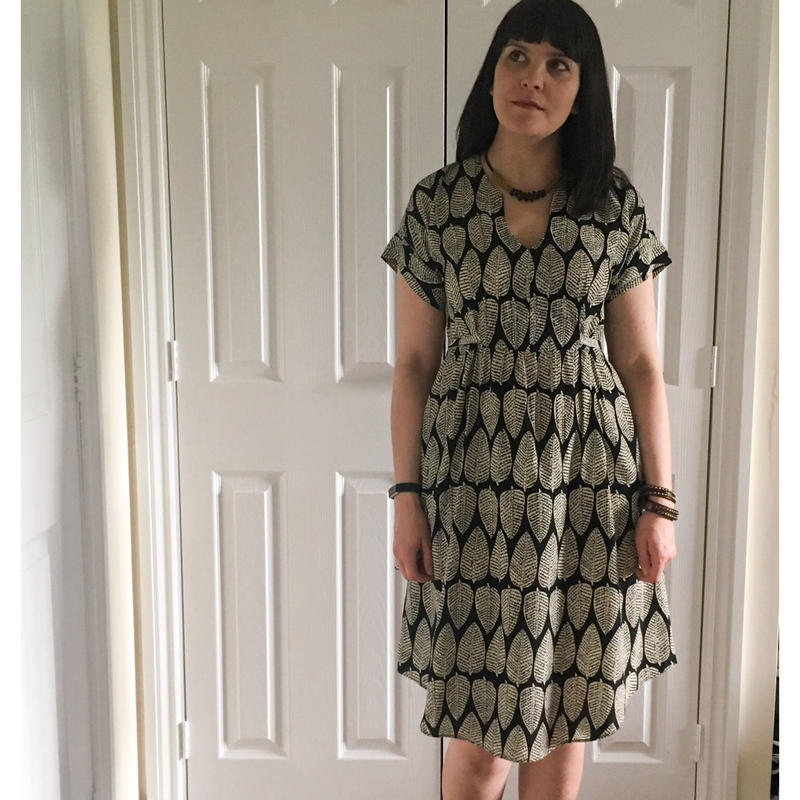 The fact is that I started a wrap dress, and then it went badly. So I tried to correct it and it went worse. The accused is now hanging on the back of the door in my sewing room. I may come back to it and I may not. I might need to just burn the damn thing! So I have decided to do a swap out! Am I allowed that? Well I’m still doing it anyway. 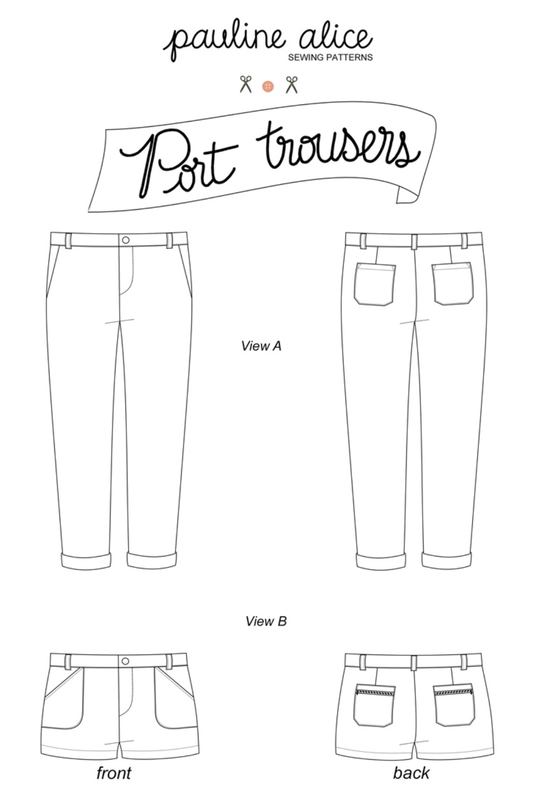 Rather than the wrap dress, I am going to try the Port Trousers by Pauline Alice. In my mind they still have their challenges, I’ve never done a zip fly before! 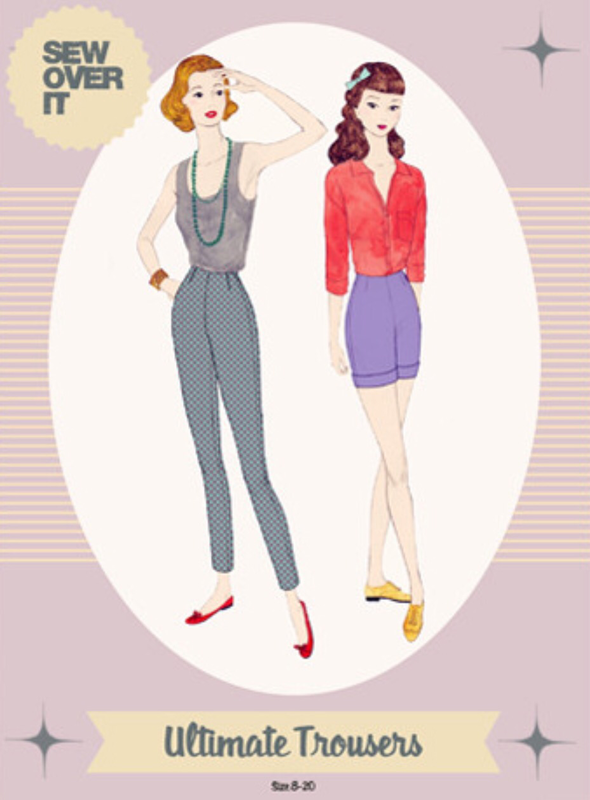 And I’m really keen on getting into trouser making! Plus I just don’t think I can face the wrap dress again!! 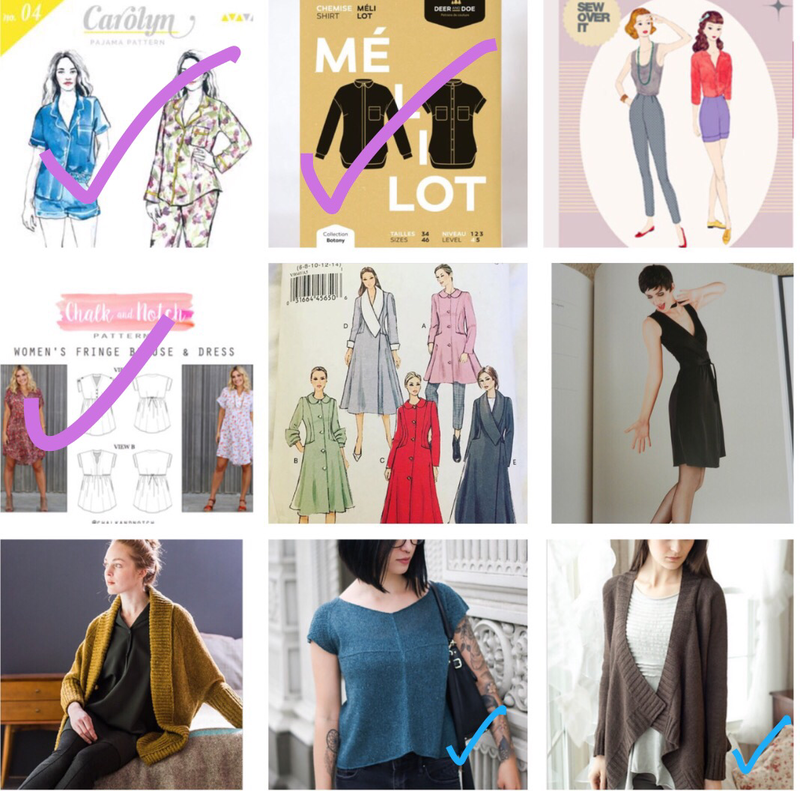 Anyway I know why you’re wondering why there are big purple ticks over the completed sewing items and only little blue ones next to the knitted ones… well it’s because I have started them. However, knitting takes so much longer than sewing, it may still be some time before I actually finish them. 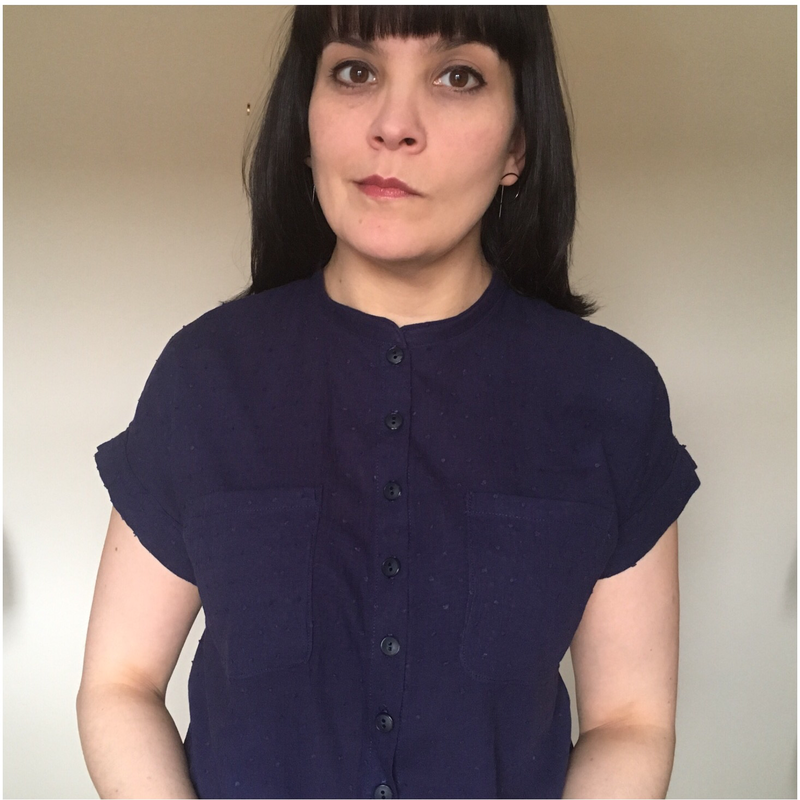 But I am still hopeful they will be done by the end of the year…especially that linen tee which I could really do with right now!! So in all I have managed 3, half done 2 and completely botched and swapped one… it’s never just straight forward is it?! Previous Post Tabor… with stars on it! You’re doing really well. I particularly love your fringe dresses. They look lovely on you. I’m so horrifically slow at sewing there’s just no point in taking part in the make 9 challenge unless it changes to “make 9,,,, within 9 years”. Haha! Like you with your Meliots, once I’ve fitted and made a pattern I get quite attached and make multiples.